NB British Silver coins TO compare our coin prices with a "£1 face value" offer from a coin dealer just get our calculator price for 112 grams after selecting the purity of your coins eg 925 for pre-1920 coins and 500 for 1920-1946 coins. As at 02/03/2017 we were paying 20 times face value. 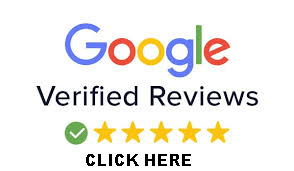 We buy all British and Foreign silver coins including silver shillings, crowns, sixpences, florins, marks, guilders, francs, dollars, lire, dinar roubles and rupees. When you want to sell silver coins you'd think you'd get a better price from a Coin Dealer? That is not the case! Many of our customers are surprised at the prices they receive for their silver coins It's not rocket science. Many dealers want to pay below true scrap price for silver coins That way if they cannot sell them as collectables they can make a profit scrapping them in with silver buyers like us.. Others try to buy them at face value, which does NOT give you the best price. The prices we pay are nine times out of ten higher than coin dealer prices. The prices we pay are nine times out of ten higher than coin dealer prices. Apart from antique silver items, silver scrap, silver cutlery and jewellery we also buy silver coins and we now urgently need all silver & scrap silver coins, whether full silver or half silver. All those old coins you have in your house may well be worth a small fortune! Old coins , British or Foreign are worth money!!! We buy whole collections of coins, old or ancient, Uk or Foreign..Coins deserve a special mention as they are not always easily identified. Prior to 1920 British silver coins contained high purity, 92.5% (Sterling) silver. From 1920 to 1946, British silver coins contained 50% silver. From 1947 onwards, some denominations of British pre-decimal coins issued for circulation were "silver-colored," however these coins were made of copper-nickel, and contained no silver.
. In addition, there have been some silver decimal coins minted in limited quantities as commemorative or bullion issues, typically in Proof condition; these coins were not intended for circulation. The standard circulating denominations of pre-decimal British coins from 1800 to 1946 which contained 92.5% or 50% silver, included threepences, sixpences, shillings, florins, two shillings, halfcrowns, double florins, and crowns and we buy them all . US & Foreign Coins We also buy US coins (normally 900, 90% silver pre 1965) and European and World coins Phone for more info. TO SELL YOUR SILVER COINS IS EASY. The first thing you need to do to sell your silver is to get a price. Weigh your item on scales then use our SILVER PRICE CALCULATOR ON THE LEFT OF THIS PAGE. You'd think you'd get a better price from a Coin Dealer? That is not the case! Many of our customers are surprised at the prices they receive for their silver coins It's not rocket science. 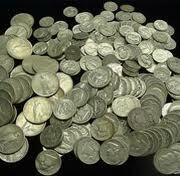 many dealers want to pay below true scrap price for silver coins . Others try to buy them at face value. The prices we pay are nine times out of ten higher than coin dealer prices, but don't just take our word for it, read on then value your coins below. Prior to 1920 British silver coins contained high purity, 92.5% (Sterling) silver. From 1920 to 1946, British silver coins contained 50% silver. From 1947 onwards, some denominations of British pre-decimal coins issued for circulation were "silver-colored," however these coins were made of copper-nickel, and contained no silver. . In addition, there have been some silver decimal coins minted in limited quantities as commemorative or bullion issues, typically in Proof condition; these coins were not intended for circulation. The standard circulating denominations of pre-decimal British coins from 1800 to 1946 which contained 92.5% or 50% silver, included threepences, sixpences, shillings, florins, two shillings, halfcrowns, double florins, and crowns and we buy them all . US & Foreign Coins We also buy US coins (normally 900, 90% silver pre 1965) and European and World coins Phone for more info. To sell us your old silver threepences, sixpences, shillings, florins, two shillings, halfcrowns, double florins, crowns and dollars etc you'll need an idea of their value. Firstly you'll need a set of scales. Kitchen scales will do. Split up your coins into the different grades of silver by checking dates above. Weigh each grade It's as easy as that. You don't need to split them into different nominations eg shiilings, crowns etc, just dates. The weight you'll need is grams. If you have used modern gram scales you'll have no problem in getting the gram weight. If you've used ounces and pounds scales then to get the gram weight remember there are 16 ounces in a pound and there are 28 grams in a (cooking ounce) (A troy ounce is actully 31.1 grams but if you have used cooking scales and not jewellers scales ie where an ounce is 28 grams, just multiply as above to get the gram weight. Then just click on the calculator. There is a drop-down box detailing all the different grade of silver you'll have. Put in your weight and away you go!